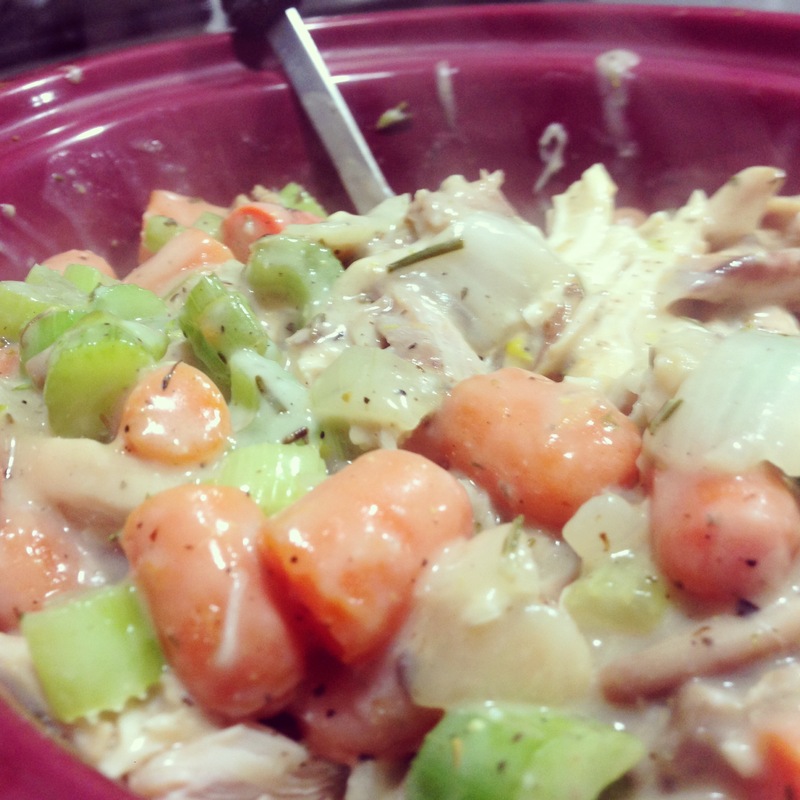 Chicken N Dumplings | Just Cuc It! Who says I only cook yerrow food? When the water comes to a boil, use a spoon to spoon dumplings into the stock. These can be whatever size you’d like them to be. I keep mine kinda small, the shape of a spoonful. Cooking time is 8-10 minutes. Once the dough is cooked through, I transfer all of the this stock to my main stockpot and finish with some black pepper and parsley flakes. I had some for lunch today, soooo good…like I might also have it for dinner good.